Slated to be the next James Bond, Idris Elba sports a low-maintenance, closely cropped hairstyle paired with a well-groomed beard or goatee. His naturally curly hair is perfectly suited for a cropped hairstyle, which also hides the fact that his hair is starting to thin. Elba has also been spotted sporting a more extreme skin head haircut for a role. 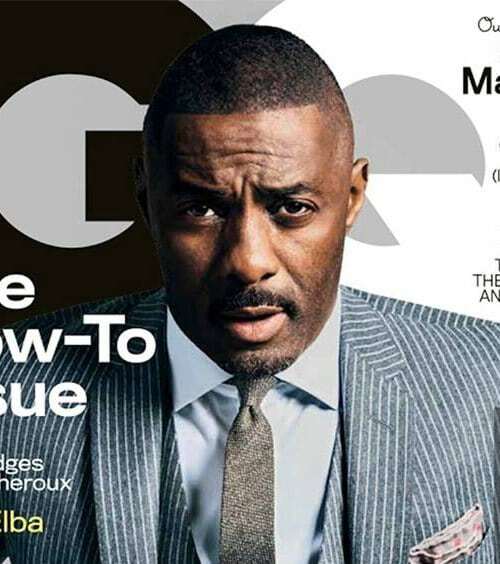 Here’s how to get the Idris Elba skinhead haircut. Very short hair is often the starting point for a cool buzz or a skinhead haircut. The great thing about this haircut is that you can go from a long hair style to a completely closely cropped haircut in a matter of minutes. This is also a great cut that you can do yourself with a quality pair of clippers. Elba no doubt has a stylist doing his buzz cuts for him, but you can get a close cut and even edges on your own with practice. The classic cut that Elba often sports also comes with a subtle fade that matches his precise, symmetrical lines that follow the hairline. There are times when he sports the fade along the temples and other times when he sports a high top fade, with the fade starting around the top of the forehead and receding downwards until the hairline ends. Experts recommend finding the perfect barber who knows the art of making seamless fades and who knows how to use the clipper to create clean lines. Elba’s hairstyle is polished and masculine, something that can only be achieved with a clean cut and a close shave. Low maintenance haircuts tend to require very little product. Elba uses a smooth polishing product along the sides to keep his fade sharp. A water-based styling product applied sparingly along the crown can also be used to keep the style in place and give it a more sophisticated look.